It’s time to link up with Bonnie and her two lovely co-hosts Melanie & Tina for Travel Tuesday! 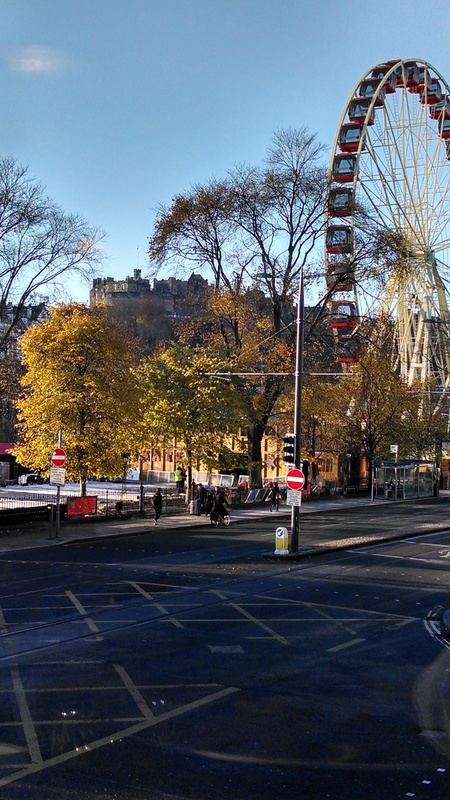 Up this week is a brief tour of Edinburgh! I’m using brief as a relative term here although I’ll try to stick with the goal (smile). We spent the first few days of our Scotland adventure in Edinburgh. This wasn’t my first time in the city, but it was the first where a) I was old enough to appreciate life outside of the pubs and b) I had enough time to really explore a bit. We stayed in the lovely Old Waverly Hotel on Princes Street. It did take us a bit of time to find parking and effort to move the luggage from the car park to the hotel (there’s no drop off spot), but overall it wasn’t too bad. If you’re coming by train, the hotel is literally just across the street from the main station. Also worth noting, I booked directly through the hotel’s website and got a fabulous off season deal! I was able to book a larger room with both breakfast and dinner included (turns out they had a really nice restaurant – score!). We started out at Edinburgh Castle and meandered down the Royal Mile ducking in shops and pubs along the way. We had a nice leisurely (and warm) tour around St. Giles then continued on eventually reaching Holyrood Palace, which is the royal residence of the Queen when she is in town, and decided tea and a tour were in order (in that order – smile). Holyrood Palace is beautiful, of course. They have a nice selection of rooms you get to tour, but photos are not allowed indoors. We didn’t see the gardens as they were closed for the winter, but we were able to spend some time in the adjoining Abbey ruins. After Holyrood Palace, we walked over to Holyrood Park to debate the merits of trying to make the hike to Arthur’s Seat. Given the time of day and our general lack of preparedness, we opted for a shorter, easier hike. We did gain a bit of altitude though, affording some beautiful views. It was also fun to see the braver people walking along the higher paths. We booked a ghost tour for one of the nights but I opted not to bring my camera for that (no one likes a flasher!). It’s becoming a bit of a tradition for me to go on one of these tours when I visit the city and I must admit I’m okay with that. Next to Savannah, Georgia, I think Edinburgh has some of the best ghost stories in the world (smile). There are two main tours – a and b. I’ve done both and have no qualms about recommending either, depending on your preference. We spent one of our other nights in the city at the Brew Dog Edinburgh, an awesome recommendation from the equally awesome Pristine. (Big smile & Big thanks!) It’s got a more local bar type feel to it, which was actually a nice change of pace. It’s located near the University so there’s definitely an interesting blend of people. The craft beers there are amazing! That’s right – bold, italics amazing (smile). All that amazing-ness also made for a very interesting stumble walk back to the hotel, but that’s what makes life fun, right? I feel like these guys are definitely going places and I’m glad I got to visit before they blow up big time. Come join the travel fun! So beautiful! 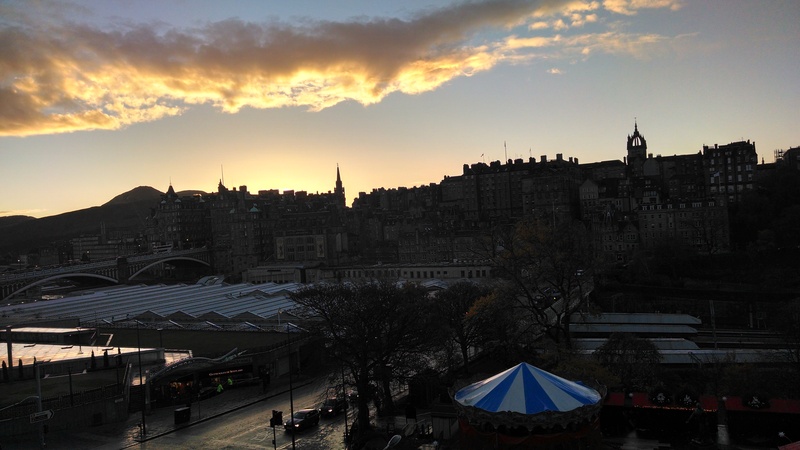 I’ve never been to Edinburgh, and your photos really make me want to go. It’s on my bucket list now! I visited Edinburgh two years ago and absolutely loved it! Such a lovely and beautiful town – I could totally see myself living there and heard the same thing from many others as well! 🙂 Beautiful pictures – makes me ache to visit again! I NEED to get back to Scotland to see Edinburgh!! It is just beautiful! I love Scotland posts because my family and I are planning a trip up there and I love finding new things to add to our Scotland list! 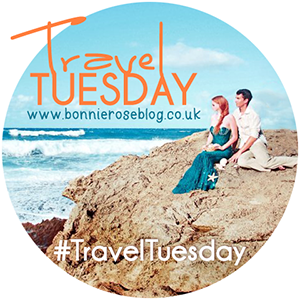 Thanks for linking up for TravelTuesday! Oh how exciting! It’s a lovely country in it’s own unique way (as they all are I suppose), but the people make the experience. I’m sure you guys will have a great time! I am loving your posts about Scotland. I am hoping to go in the fall this year, so it is helpful to hear about experiences others have had there. Lovely old buildings! It sure sounds like you had a great time. A guy in my blogging circle lives there..